We appreciate your feedback about your support experience with SkyVerge, developers of Mixpanel. This helps us maintain high standards on the WooMarketplace, and helps SkyVerge improve. This extension is designed to work with Mixpanel, the most advanced web and mobile analytics tool that gives you actionable metrics for your business. You’ll need to sign up for a free Mixpanel account if you don’t already have one. 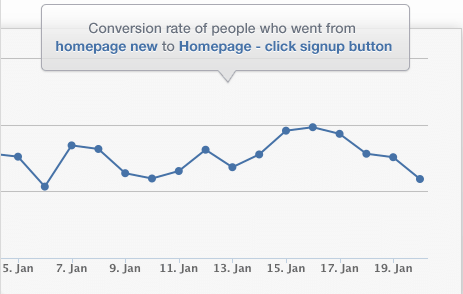 Mixpanel is free for a limited number of data points per month. Track your revenue over time and easily segment by product, category, and more. See the average number of customers over time combined with average revenue per customer to give you better insight into how your store is performing. See trends to help you identify ways to increase revenue and customer happiness. 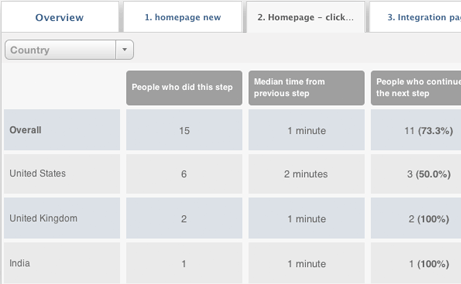 See the percentage of people in each step of your checkout funnel so you can improve your checkout process. 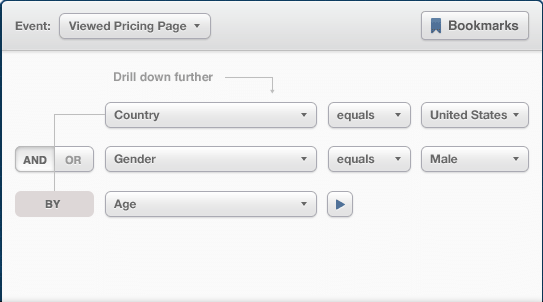 You can even segment the sales funnel by category or product! Easily build your visualizations and see exactly the information you want. 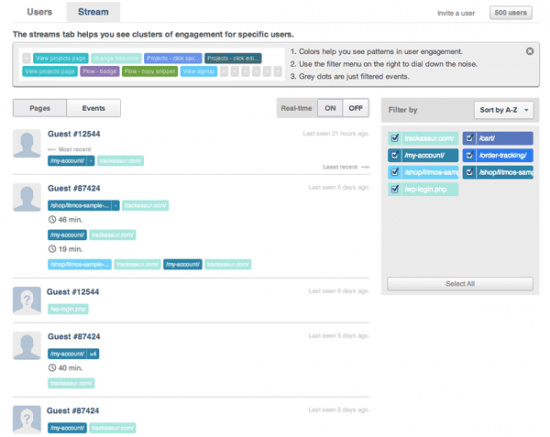 The funnel tool makes building complex funnels a snap. Once you’ve built your visualization, use the the funnel analysis tools to perform a deep data analysis. Analyze your funnel visualization with tools to help you find actionable data. Running a one-day sale or advertising campaign and want to see how your customers are using your site? Use the built-in Stream view to see activity on your site in real-time. 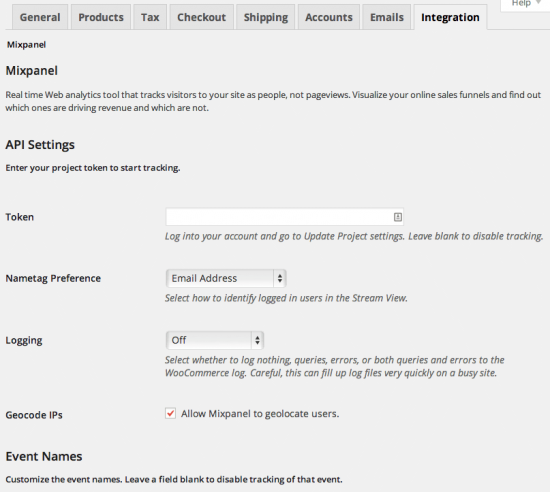 All event and property names are customizable through the admin interface and can be individually disabled. 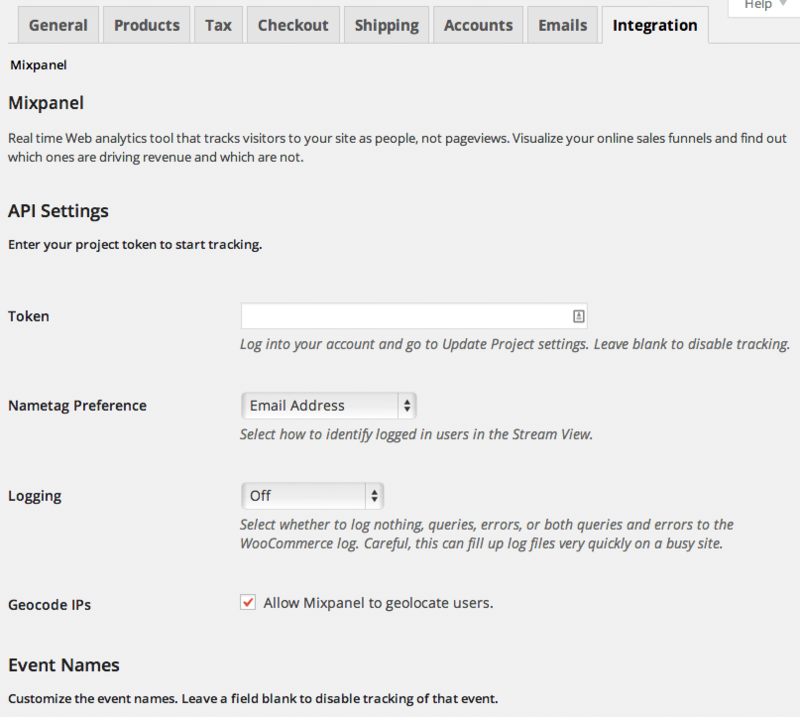 Customers are automatically tied to their WordPress username or email address when logged in. 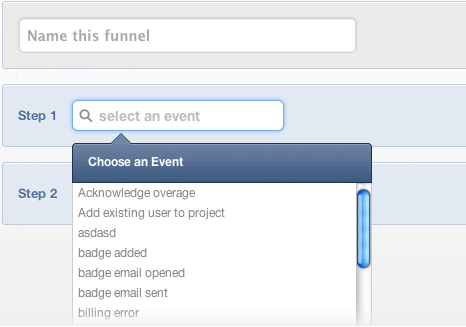 Custom events can be tracked by adding a snippet to your theme. Selling subscriptions on your store? Great! Get insight into your subscribers by automatically tracking when subscriptions are activated, suspended, cancelled, renewed, and even when free trials expire. Mixpanel can show you average subscription length, cancellation rate, and more subscription metrics without any extra configuration required. Login to your Mixpanel account (sign up for free if you don’t already have an account) and grab your project token. Save your token on the settings page. That’s it! Sit back and enjoy easy but powerful store analytics! Read the full documentation to see a full list of tracked events and properties, and to learn how to customize event / property names, track custom events, and more!